SHOULD YOU LEASE OR FINANCE YOUR GMC OR BUICK? 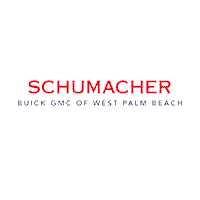 Selecting the classy and capable GMC or Buick model you’ll drive home isn’t the only decision you’ll have to make at Schumacher Buick GMC of West Palm Beach. You’ll also have to decide how you’ll pay for your new vehicle. Should you lease or finance? No option is really better, with both offering unique advantages. We’ve provided this guide to both, to help take the stress out of the decision. Leasing or Financing: How Should You Pay for Your New GMC or Buick? If you choose to lease, your monthly payments will be lower, and most maintenance will be covered by manufacturer warranties. It is also easy to upgrade to a new or different model once your lease deal has ended. When you choose to finance, you’ll own your car upon completion of your payments. You also won’t need to worry about modification or mileage restrictions. Still need help with the decision? The dedicated finance team at Schumacher Buick GMC of West Palm Beach, can help. Just reach out to us.